The death of Malayan communist Chin Peng has provoked some heated debate in Malaysia. On one side, many have seized the moment to denounce Chin Peng’s role in Malaysian history and reiterate that his remains will never find their way back to his birthplace in Sitiawan in Perak. Other reactions range from overt sentimentalism to a reasonable insistence that Chin Peng’s place in history be properly acknowledged. So what’s going on here? Why does Chin Peng’s restless spirit still upset so many Malaysians? He can do no harm to Malaysia now – and he had not offered a genuine threat since the mid 1950s when he fled to the Thai border. So why has the reaction to his death been so divisive and angry? Why vilify Chin Peng now? What we can say is that for Chin Peng and the other Malayan communists who had had to come to terms with the cataclysm of the Japanese occupation after 1942 and then the triumphant return of the British colonial overlords of Malaya and Singapore in 1945 the communist ‘record’ was not as clearcut as it seems now – to most of us at any rate. With the onset of the Cold War, the world was abruptly split between two aggressive superpowers, the United States and the Soviet Union. The sun was setting on the British empire but it was increasingly evident that the Americans – even though Presidents from Wilson to Roosevelt had routinely denounced imperialism (for their own ends to be sure) – would now seek to perpetuate colonial rule in Southeast Asia. For those who opposed the bolstering of empire, it was logical to cleave to the side that demanded its destruction: that meant the Soviet Union and later Communist China. See Michael Burleigh’s excellent ‘Small War, Faraway Places’ for a vivid account of all this. See this review. Many anti colonial Asian nationalists, of course, came to very different conclusions and eschewed communism. In Malaya, for example, Malay nationalists evoked the pre-colonial Malacca Empire to demand an end to British rule. Communism was an anathema. Chin Peng, who was as much a nationalist as Tunku Abdul Rahman, explicitly turned against such ethnic nationalism. Although the MCP was perceived as a ‘Chinese party’, its political programme consistently demanded an inclusive anti-colonial movement of all races. This was not disingenuous or insincere – though it proved utterly unrealistic. When we come to write Chin Peng’s obituary, we need to imagine ourselves as deeply as we can inside the maelstrom of post war Southeast Asia. The path he and other communists chose to follow in 1945 cannot be comprehended through the lens of present day ideological and moral certitudes. And let’s be clear: there was never any possibility that the MCP and its guerrilla wing the MNLA/MRLA could truly win the war against the British or even deliver the kinds of blows dealt out by the IRA in the 1970s and ’80s that eventually forced the British government to negotiate. The communist insurgency in Malaya was never supported by the USSR or Communist China. The MNLA was severely handicapped from the very start of the revolt by shortages of arms and ammunition and was completely dependent on marginalised Chinese agriculturalists (known as squatters) for supplies. The Malayan communists came much closer to success when the Japanese occupation ended abruptly in 1945 than they ever did during the Emergency period after 1948. This is not to dishonour the memory of those civilians, soldiers and policemen who were killed by the MNLA during this time – but simply to acknowledge an historical reality. Having said that, we now know from Chin Peng’s own memoir ‘My Side of History’ as well as millions of pages of communist rhetoric that the communist movement in Malaya was preoccupied with treason and betrayal – both imagined and real – and with enacting revenge. This tendency may be inbuilt in communist movements the world over, but in Malaya it was deepened by war time betrayal. 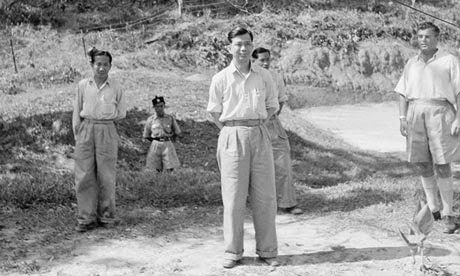 It was not until the Japanese occupation came to an end that Chin Peng discovered that the revered MCP leader Lai Tek was a triple agent who had thrown in his lot with the British before the war and then the Japanese after 1942. 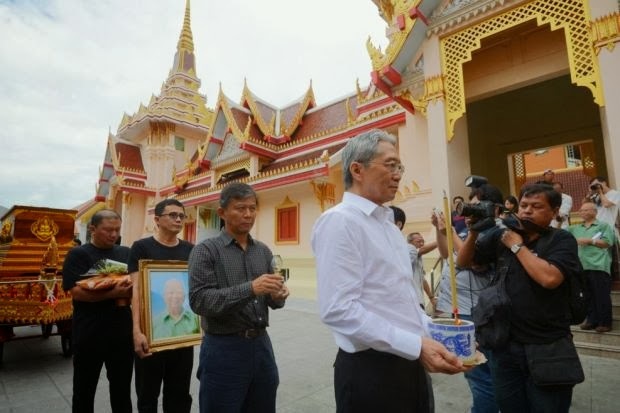 The near continuous evisceration of party cadres betrayed by Lai Tek induced a climate of unrelenting paranoia – whose outlet was ‘traitor killing’. As Freddy Spencer Chapman recalls in ‘The Jungle is Neutral‘ the MPAJA set up specialised ‘traitor killing camps’ to dispense with alleged wrong doers. During the Interregnum period in 1945 – when the British had yet to reassert control – MPAJA ‘courts’ enacted very rough justice, often targeting Malay ‘collaborators’. The ‘Emergency’ itself was provoked – in June 1948 – by the murderous actions of a maverick communist platoon that took Chin Peng completely by surprise. His struggle to control the movement would – as he himself admitted – require purges of recalcitrant competitors. The ‘Second Emergency’ unleashed in 1969 had little impact on independent Malaysia mainly because different communist factions spent most of their time killing each other. Would Chin Peng – had he miraculously won the insurgency – have wrought the same havoc in a post colonial Malaya? Who can say? You can hazard a guess – but would it have much value?